Dice in the Vineyard is a dice tracker for Dogs in the Vineyard. It creates poker-chip-styled tokens for each roll and stacks them on the tabletop in areas set aside for each character. During play, players can spend roll tokens, roll in additional tokens, and request chip counts for any character in play. Before using Dice in the Vineyard, it is recommended that image URLs be set for each chip value. These can be set in the script in the DEFAULT_URLS dictionary or within the game via the setimage subcommand (described below). For best results, use a PNG with transparency, so that chips will stack appropriately. You may wish to set the CHIP_HEIGHT parameter, which defines the height, in pixels, of the side of the chip (i.e. additional chips will be placed this many pixels above the chip beneath them in order to create a stacking effect). Any chip without a specific image set will use GENERIC_URL and will use a status icon to display its value. Each character to be tracked must have space allocated on the tabletop for its chips. This can be accomplished via the add subcommand, which will allocate an area starting at the specified square and extending six squares right and four squares down (this can be altered by changing the values of BOX_WIDTH and BOX_HEIGHT, but should always be at least two wide and a multiple of two tall, and should have a total area of at least 24 squares). A 2x2 area in the top left will be reserved for the character token and for chip tokens to be played; ten 1x2 areas will be used for stacking chips of each value 1-10.
add: Requires the new character's name and X and Y coordinates. Coordinates are given in squares, starting at 0 in the top left. This subcommand also accepts an optional COLOR argument, which will be used to border the character's area (default is #FFFF00). If provided, it must be an HTML-style RGB string (e.g. "#60A0FF"). remove: Requires the name of the character to be removed. clear: Requires the name of the character whose chips are to be cleared. 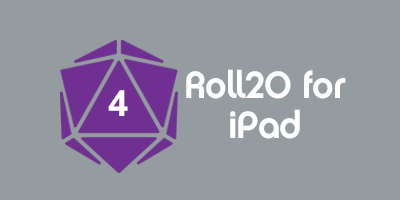 roll: Requires the name of the character who will receive the chips and a dice specification. The dice specification must consist of one or more groups of like-sized dice (XdY) separated by whitespace or "+". count: Requires the name of the character whose chips are to be counted. setimage: Requires the chip value whose image is to be set. If a URL is passed in as a second argument, it will be used; otherwise, the currently selected token's image will be used. This page was last modified on 17 April 2015, at 02:23. This page has been accessed 2,446 times.